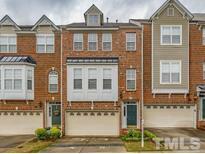 Below you can view all the homes for sale in the Wakefield subdivision located in Raleigh North Carolina. Listings in Wakefield are updated daily from data we receive from the Raleigh multiple listing service. To learn more about any of these homes or to receive custom notifications when a new property is listed for sale in Wakefield, give us a call at 919-928-5027. 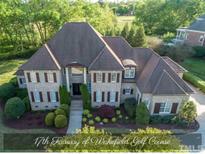 Gorgeous Executive Home on on 17th Fairway of TPC Golf course!Elegant 2Story Foyer w/crystal chandelier.Dining Room w/custom moldings&chandelier.2Story Living Room w/gas Fireplace.Dream Kitchen w/granite counters, gas range, island, walk in pantry, butler's pantry&breakfast nook.Family Room w/built-ins&gas Fireplace that opens to bright sunroom.1st Floor Master Retreat w/lighted tray ceiling, his&hers granite vanities,glass shower,jetted tub&custom closet.Bonus room w/Sitting Area.Veranda w/ fireplace&grilling station. MLS#2246166. 1128. Main level bedroom with full bath. MLS#2246424. 3293. Covered porch and private back deck ! MLS#2249207. 3770. Highest/Best Offers By 4/22 @ 5 Pm. MLS#2246263. 3399.
basement w/2nd kitchen and expansive Recreation room. Abundant storage! MLS#2248609. 1127.
full bath,&exercise room. New Carpet! Plantation shutters. MLS#2244343. 1127. 1st Floor Office; Tankless Water Heater; Upgraded Light Fixtures; Irrigation, Walk-in Storage; Security System. MLS#2248956. 514. Spacious Bonus/5th Bedroom & Laundry Room w/Sink & Cabinets; Back Deck & Fenced Yard w/Irrigation; New HVAC, New Ext Lights & New Front Door; Security System. MLS#2248913. 514. Gym with steam shower, 5 oversized garages & chef kitchen. MLS#2248801. 4025. Large one car garage has work bench and storage. MLS#2247551. 2831. Amenities: Golf, Pools, Tennis, & Country Club…a special place to call home! MLS#2242166. 1127. Enjoy the outdoors on the Screened Porch and the Fire-Pit Patio. MLS#2246826. 2929. New HVACs. Great storage. Schools/shopping/services in neighborhood. MLS#2246772. 636. Backs up to common area green space and offers great views of sunset on back patio. MLS#2244869. 1128. You will not want to miss it! MLS#2246413. 3293. Other fabulous perks of the home include the gas range, gas fireplace with Caledonia granite, oak stairs, a master suite that boasts 5' tiled shower with corner seat, AND a private balcony! MLS#2245945. 1127. This home also sits on a desirable cul-de-sac lot with screened-in porch and is within walking distance to sports fields, parks and trails. MLS#2246130. 1127. Walking distance to the Neuse Greenway Trail, right next to shopping center, Pool is included w/HOA! MLS#2245565. 3770. Mature landscaping & trees create privacy for back patio area. MLS#2244645. 1320. 3 car garage. Fantastic, fenced backyard. MLS#2244379. 649. Priced right and easy to show! MLS#2244258. 3770. New Carpet! Mostly all int. freshly painted! MLS#2239726. 1128. H20 Heater 2017, HVAC 2016, whole house filter. MLS#2243771. 4607.